Pratical guide: how to become a Hiker! You do not need to be a mountaineering professional to go hiking! When we saw in the social networks beautiful images of incredible trails and landscapes, we thought: how can we go there if we can not prepare ourselves as trekking and hiking professionals? Apart from this, many other questions always arose, such as about equipment, clothing, level of physical endurance – and emotional, why not? -, among other issues. 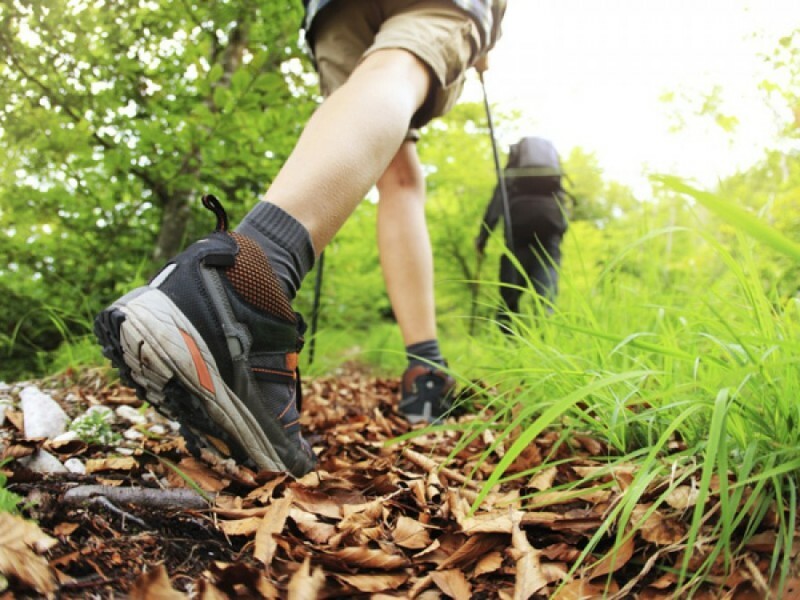 But, unlike trekking, hiking has lighter and shorter walks, allowing you to not need, at times, larger stalls or clothing. Still, it is always good to take some care and prepare that practical backpack and (always) take it for the ride. That is why we have decided to create a small guide, totally practical for those who are going to face the hiking for the first time or have started to practice it, but still have some doubts. It all depends on your mode of travel. If you plan to start with a hiking and go to another destination to do a trekking, take the tent is important yes. Otherwise, the likelihood of you needing this equipment is minimal. The great feature of hiking is precisely the fact that it is only a few hours’ walk. So those extra two pounds in the backpack – usually the weight of a tent – can make a huge difference at the end of the walk. Remember to leave the house as lightly as possible so you can make the most of it without so many stops. It is very important that you have a list of clothes and shoes for your hiking. If you do not have your own boot or sneakers, the time has come to provide them. On the other hand, avoid using your footwear for the first time on the walk, otherwise you will end the day with some uncomfortable foot bubbles. A good boot is not cheap as well as good sneakers. If you are starting out in the activity you can invest in shoes at more affordable prices, but watch out for the quality. It is necessary to give firmness to the feet and the walk. Randomly chosen shoes can result in some accident. As for the clothes, opt for always light parts. Forget jeans pants and shorts as they are not facilitators for the course. Jeans limit their mobility and can also result in their dehydration if the day is very dry, for example. The ideal ones are pants in sweatpants, lycra, tactel or twill. For sweaters, similar fabrics or that cotton jersey are the most indicated. What to bring in the backpack? – Sunblock: even if you apply on your skin when going out for hikking, it is good to always strengthen the sunscreen every four hours. – First aid kit: medications for pain, injury and other common of this type of kit. You can even buy a prescription at the pharmacy and supplement with the medications you need. Do not forget also those you use regularly, as a remedy for pressure, for example. Among the drugs that need to be provided, we highlight Hydrosteril. This is a bactericide that needs to be placed in case you get water in streams, rivers, etc. – Reserve linen: it can be a blouse and shorts or pants. It is important for emergency situations where your might spoil. This action is valid mainly me hikings in places with a lot of ascent or descent in stones and paths with obstacles. – Food: nothing too heavy. The ideal is that you take natural foods and easy digestion. Do not forget to bring enough water. Analyzing the way to know if there are support points is always very suitable to take that reinforcement in water and food. Remember to keep all of them in food-safe containers and prevent them from spoiling in the heat or cold. – Compass and map: they are important for your guidance along the way. So or more important than your backpack and the ideal clothing for hiking, the analysis of fate should be a primary care. If you’ve set the place you want to go, but you have not made the script, it’s time to do it. Calculate the walking time, the period that will pass through certain stretches and other peculiarities. This will let you know more about food and water, points of support and other details. Check also the weather on the day of your hiking. Knowing if it will rain, make lots of sun, how the humidity will be and all the details related to the weather makes it very easy to walk and avoid setbacks. Have you ever imagined you mark your trail and in the day be that storm that makes it impossible to access certain corners of the path? You’ll certainly enjoy your ride less.